The event is to support EDSA, A children's educational charity working in Barrydale, a rural Township in Western Cape, South Africa. We have built an after school club there which provides extra curricular activities such as sport, music, art and drama for children aged 3 and over. In addition we sponsor students to attend post compulsory education in the nearest town, which is an hour away, and University in Capetown, over 3 hours away. 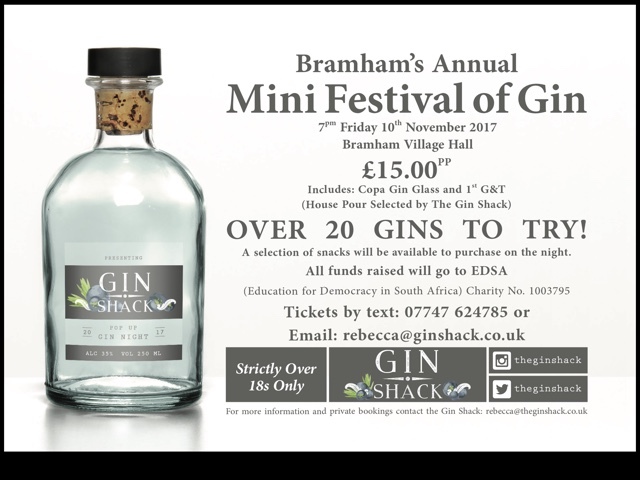 Support a good cause by having fun in Bramham village hall!